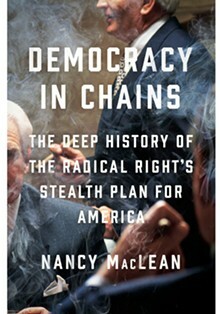 Join Duke University Professor, Dr. Nancy MacLean, as she shares her newest book "Democracy in Chains." 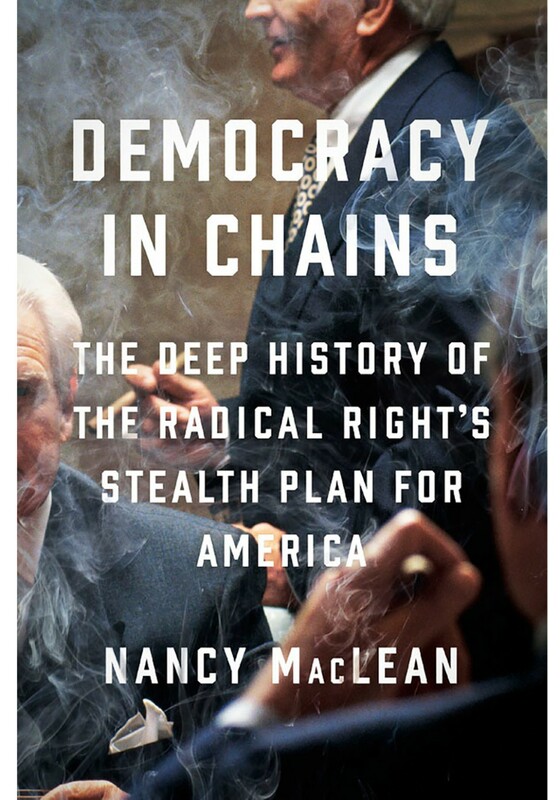 "Democracy in Chains," blows open the doors to the unknown history of the relentless campaign by the radical rich to eliminate unions, suppress voting, privatize everything from schools to Medicare and Social Security, stop action on climate change, and alter the U.S. Constitution. MacLean traces this game plan back to the Nobel Prize-winning political economist James McGill Buchanan, who forged his ideas in an attempt to preserve the white elite’s power in the wake of Brown v. Board of Education. Reception to follow.